The Porsche 924 was designed by Harm Lagaay and introduced in November 1975. On North American models the front and rear bumpers were made out of aluminium instead of fiberglass , then two rubber strips were fitted on each side to comply with Federal laws. 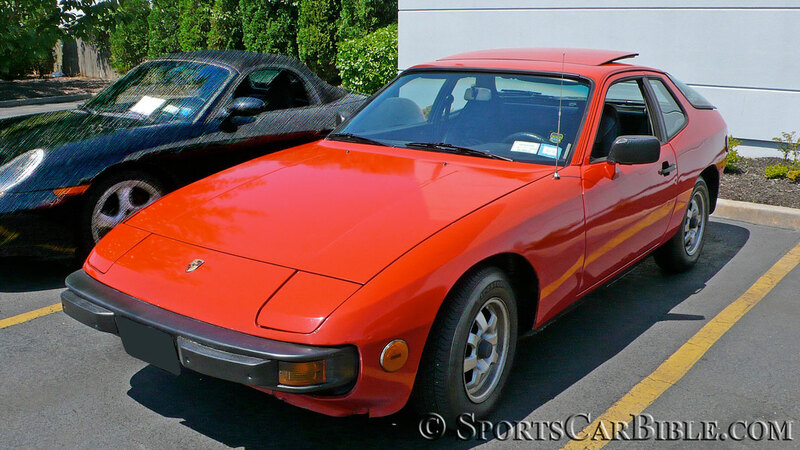 Also notice the large and unflattering side markers fitted on North American 924s.